Time is running out if you have not started this hunt. If you start today you can do it all, I have confidence in you. So I am showing off a few more. See my previous posts for other stops along the way. Also, I am highlighting a few other goodies I picked up along the way. My Jewelry I picked up for free while doing the Megastuff hunt from JCNY. 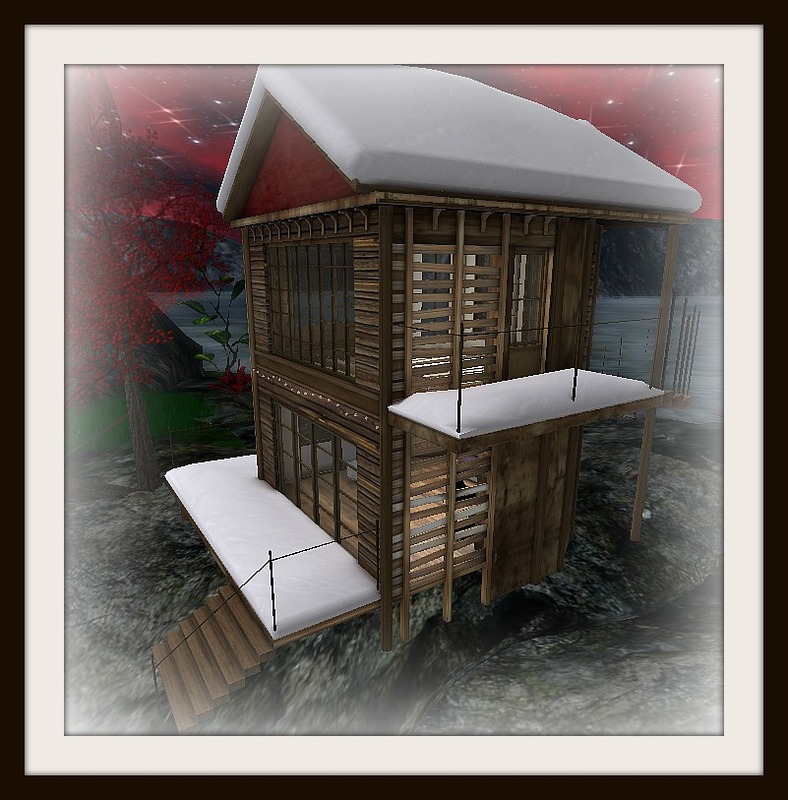 See the page for this humongous hunt here: http://womenstuff.stuff-sl.com/hunters/. This one ends 1/2 so get on this one as well. My hair from Collabor88 from Exile. So here are some more from this hunt. Enjoy and see you on the trail. So after getting a few more gifties for the POE hunt I decided I would pop into Collabor88 and well the result was buying half the place. So all my pics this morning incorporate what I picked up there including that just adorable hair. My poses are from Collabor88 from Marukin. So after I show off the POE hunt items I will show you a close up of the Collabor88 goodies. So next line up for the POE hunt this morning is as follows. I really enjoy this hunt every year and will be sad when it is over. 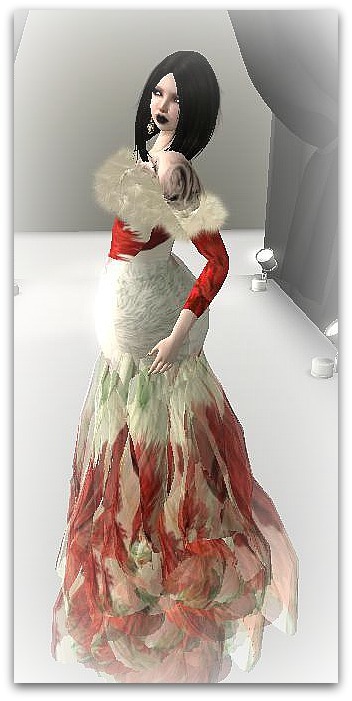 That cute hair from Tableau Vivant with the animated bunnies and non-animated at Collabor88. Today starts my Christmas vacation so that means I can now finally work more on this great hunt. 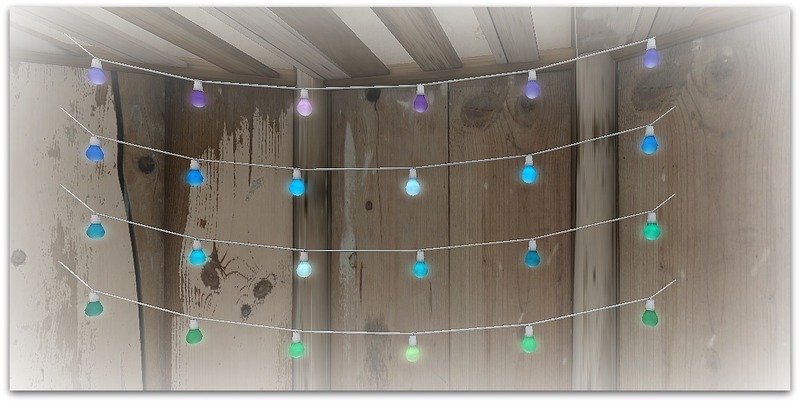 This morning I am highlighting just a few more but before we begin must get the lil particulars out of the way. 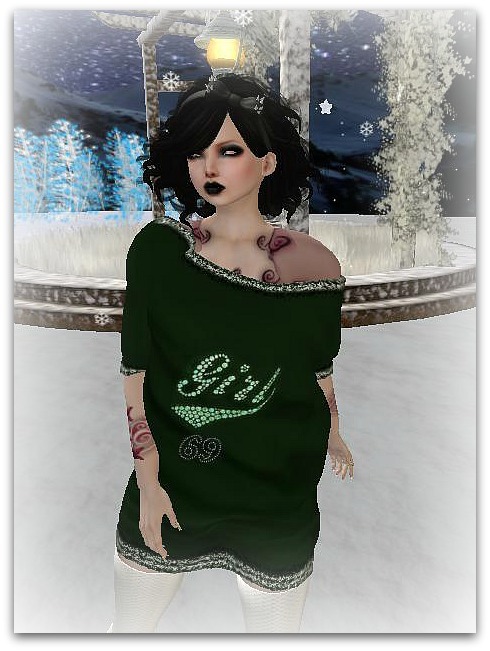 First, my hair was a freebie (YAY Free hair) from the advent calendar at Emo-tions (lm below) made by Analog Dog. My eyes as always from Dark Matter and my Skin from Panda Punx and that great tattoo from Letis. Now my eyes, skin and tat were not free but worth it. So on with the hunt and see you with more goodies soon. Good morning hunters. Time to bring you more from this great hunt. We are almost to the half way point in the month that this hunt runs so if you haven’t started might want to think about getting on that soon. Below I am showing some more lovelies from this free hunt. 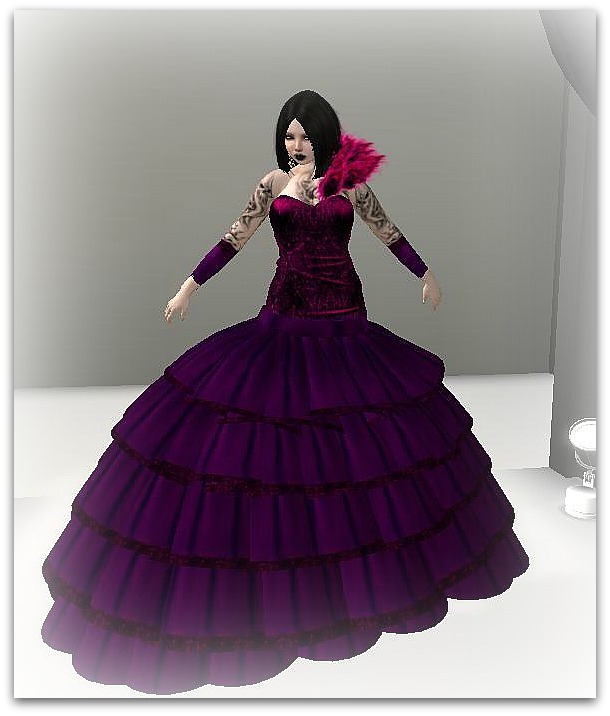 My hair is from Truth (I picked up during a huge sale) and I am also wearing a new tattoo I obtained from Letis on MP. So on with the goodies and see you on the hunt. Yayyy it is Friday. 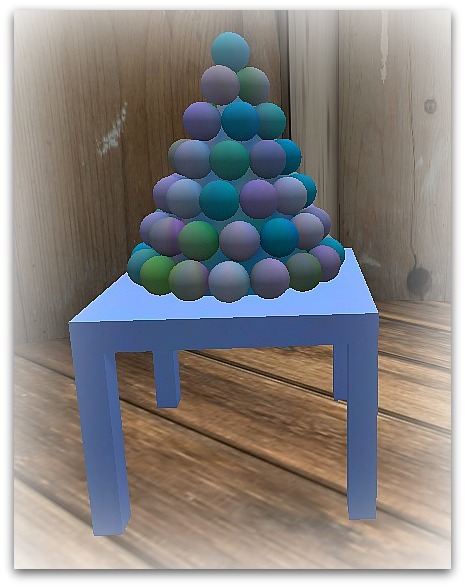 Weekend is upon us meaning more time to hunt down these great gifts from the Peace on Earth hunt. Haven’t started yet? No worries this hunt runs until January so you have time. Below are some more goodies and I actually did a few in order (blame the extra coffee I had). My hair is from Truth (huge sale) and my eyes are from Dark Matter (loving me some 20l eyes). My poses I picked up at the OMG Room event from Verocity. The hunt list for the Peace on Earth hunt (if you didn’t already have it) can be found here: http://peaceonearthsl.com/poe7-hunt-list/. So have fun and see you on the trail. 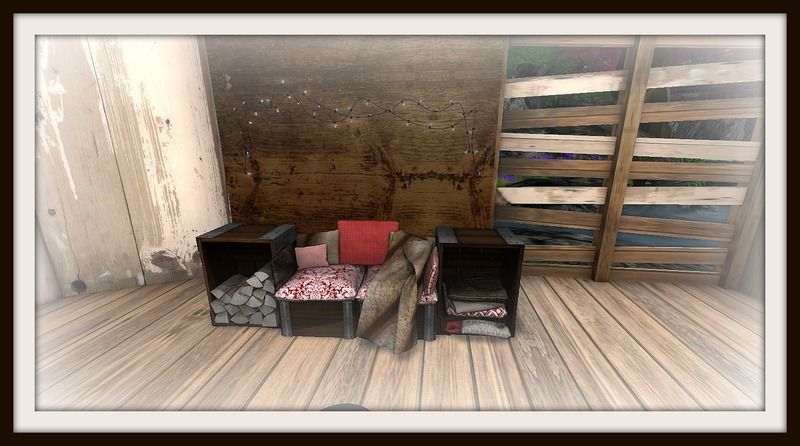 It’s time to show off some more goodies from this free hunt. As much as I have shown I am still not even half way done and exciting still. My hair (love me some hair) is free from LeLutke. As a group member they had a ton of gifties out at the store. My skin is as previously posted from Dulce Secrets. So on with the show. And now to show you the shoes I was wearing (shoes rank up there with hair for me). Behold the cute Christmas shoes you couldn’t see (and yes I wear the high heels even with jogging suits). See you next time hunters. So since I have been kinda bouncing around on this hunt I decided to go check out some of the first stops. I love Christmas and I love exploring stores and how they decorate. 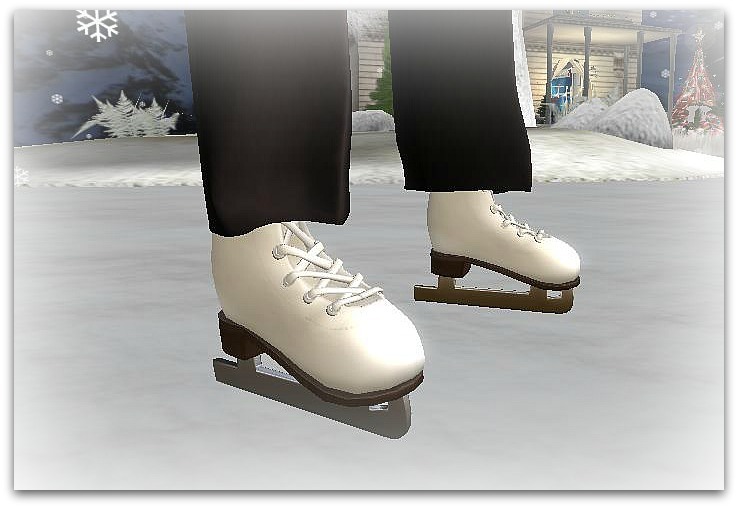 The first stop is the Welcome Center where you will pick up some ice skates with the animation. Now I would normally show more than 3 stores but behold Liv Glam stop had FIVE globes so that is where I decided to stop this post. My hair is from *Milk* (when there was a huge sale), Skin from Dulce Secrets (see post on the POE gift from them) and my eyes from Dark Matter (20l for any color eye set you might want). Enjoy this hunt and have fun. See you next post. Peace on Earth Hunt has Begun!! Now if you read the paragraph before you will see there are no hunt hints with this listing but it’s a little globe and enjoy exploring each store to find it. My hair in all posts is from my recent Black Friday shopping spree at Olive. 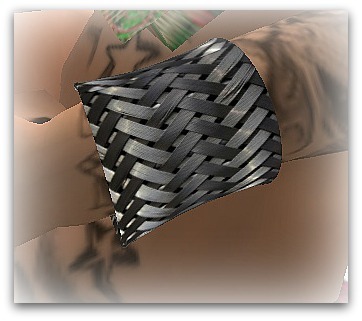 First up I am showing the Dulce Secrets giftie as in the following pics I am still wearing the skin gift. So you not only get the dress but the eyes, make-up and skin. 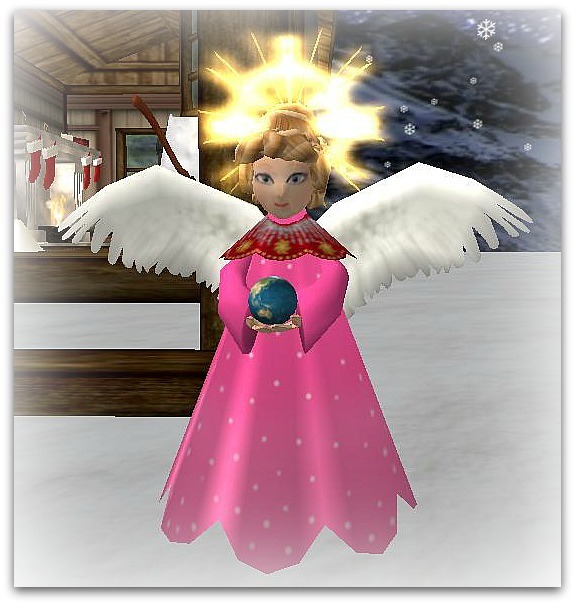 Then we have this adorable outfit from BlueMoon Enterprises. For those cold nights from Chic. Below is just another sneak peak at this up and coming hunt. 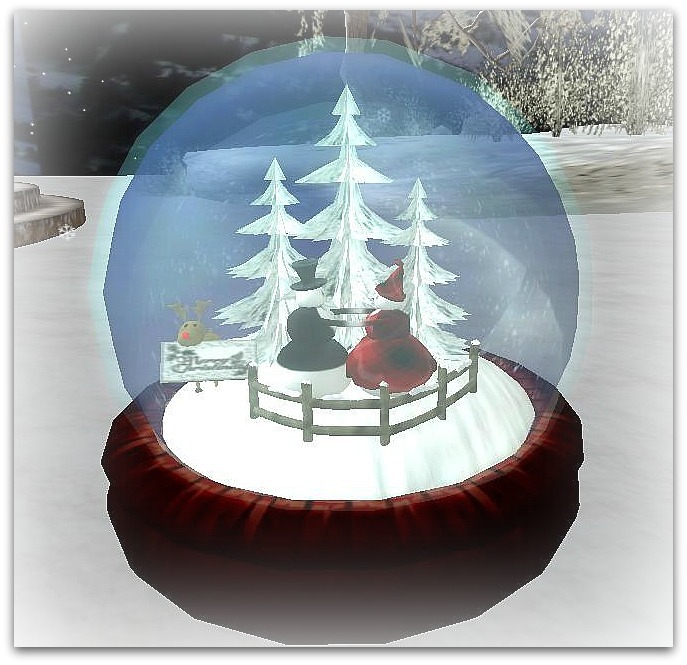 The Peace on Earth Hunt is a free hunt and extremely huge. 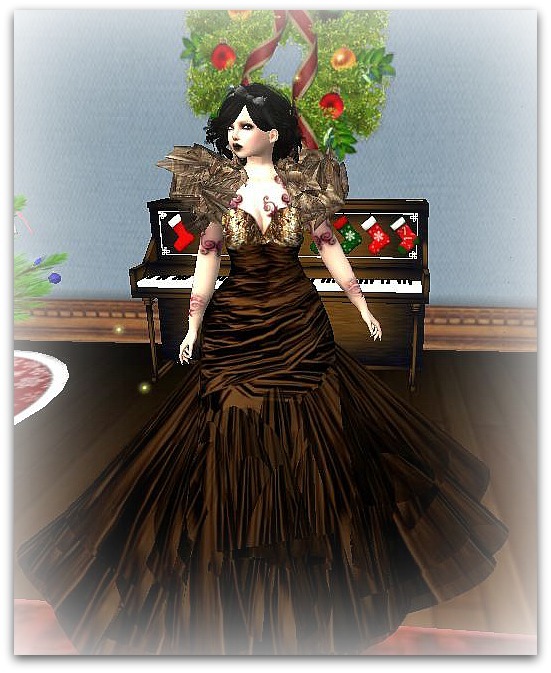 In the picture is also the skin gift from Dulce Secrets and eyes from Inkheart. Have no fear each of those will have their own separate lil blurbs and close ups in the upcoming posts from this hunt as will then I will also post lms and such. I am highlighting a Black Friday deal from Olive as well, who currently have all hairs marked way down. Stay tuned from much more to come on this great Hunt starting December 1st. So starting Monday the biggest hunt of Winter returns. The Peace on Earth hunt is a huge hunt and one I always enjoy doing during my Christmas break from work. It runs December 1st through January 6. I am extremely honored to be a blogger for this event this year and thank the organizers very much for this. 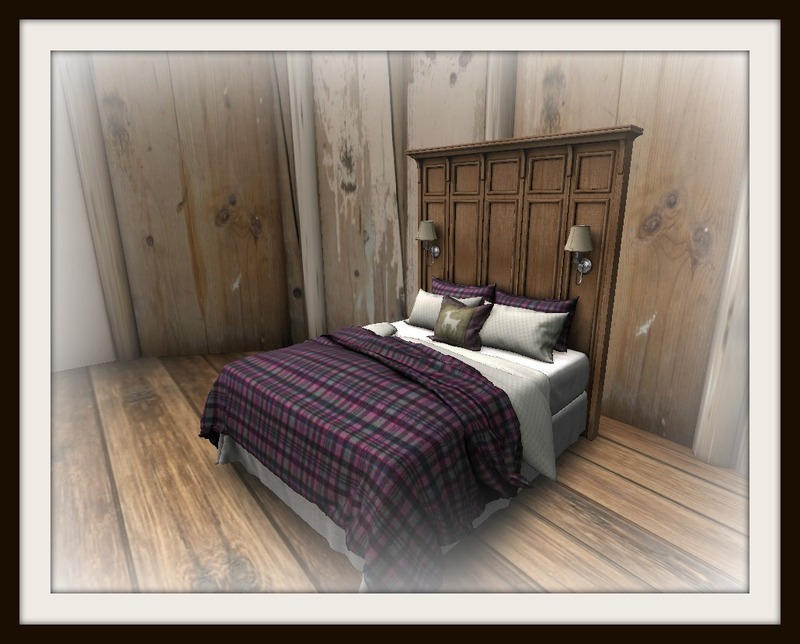 This hunt will showcase many well known designers as well as new ones you may not know about. 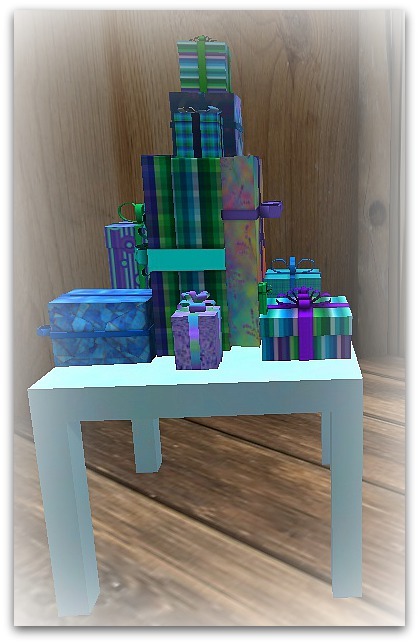 The gifts will range from clothes, shoes, shapes, skins, furniture and so on. I am going to show you a little preview of what is coming and as the hunt progresses I will show you all items to be found. The line up list and hints will be posted soon and when it does I will post that as well for you. 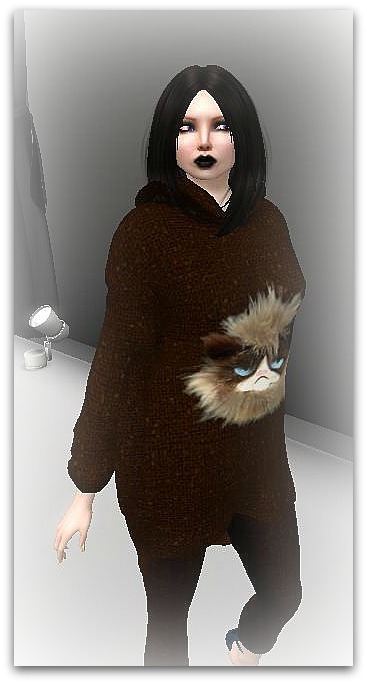 As a side note as it is Black Friday I went and got the below listed hair from Damselfly for Black Friday sales galore. All three items listed below are gifts from this hunt. Enjoy this hunt and see you on the trail.